Window on America Center in Ternopil Scientific Library: Happy Anniversary!!! 10 years of partnership, 10 years of support, 10 years of friendship, 10 years of useful conferences and seminars, 10 years of interesting meetings, exhibitions and presentations, 10 years of working together for a better understanding between Americans and Ukrainians. We did it! 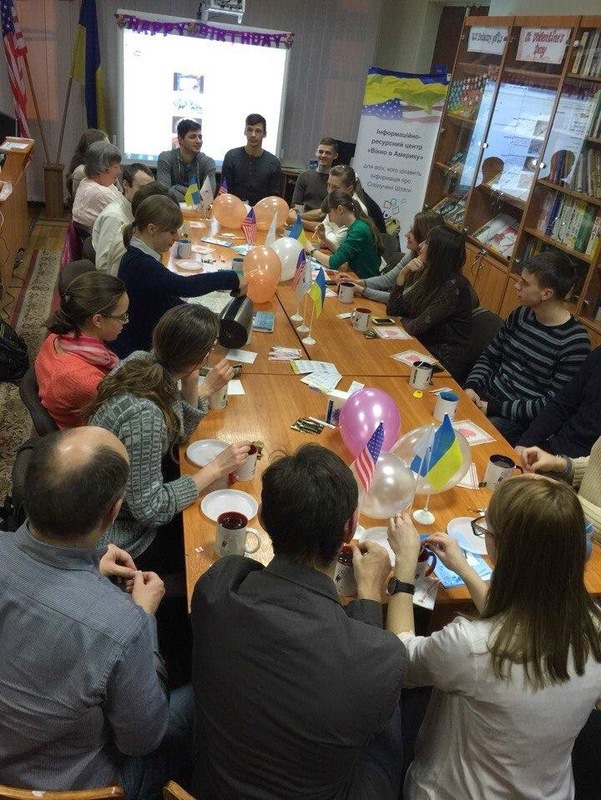 On 19 of February 2015 Window on America Center in Ternopil Regional Universal Scientific Library celebrated its tenth anniversary. In a friendly atmosphere we met- our colleagues, volunteers, regular users- the people who have seen with their own eyes how our center was being developed. We listened to a presentation of the coordinator of the Window on America Center about its success story, Nathalie Hanlet shared her impressions of volunteering in the center. The Administration of the library congratulated us with warm words, described center’s first steps and future prospects. 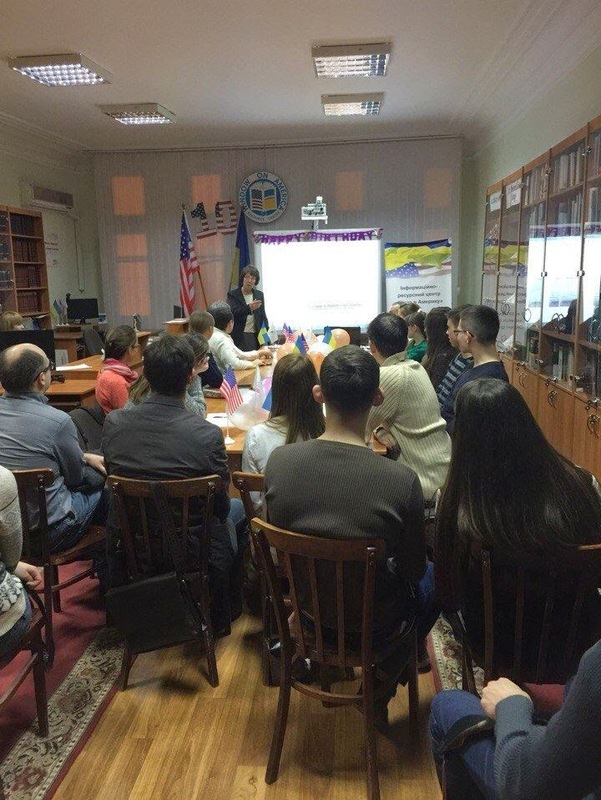 It was very pleasant for us and our visitors to get a greeting from Shari Bistransky, Cultural Affairs Officer of The Public Affairs Section of the Embassy of the United States of America, and hear how important the Window on America Centers are to strengthen US-Ukrainian relations. 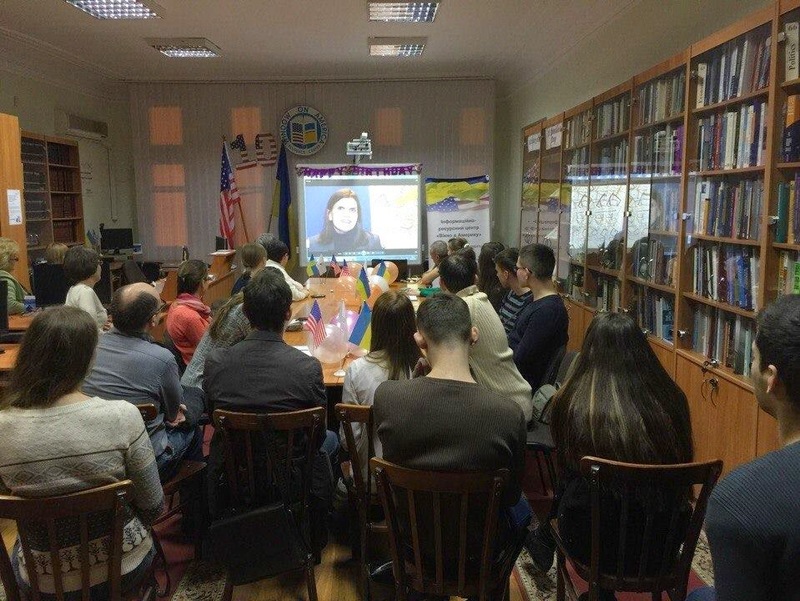 We all were amazed at such a high level of Ukrainian language spoken by Ms. Bistransky, because when we hear our native language, those words reach to our hearts.